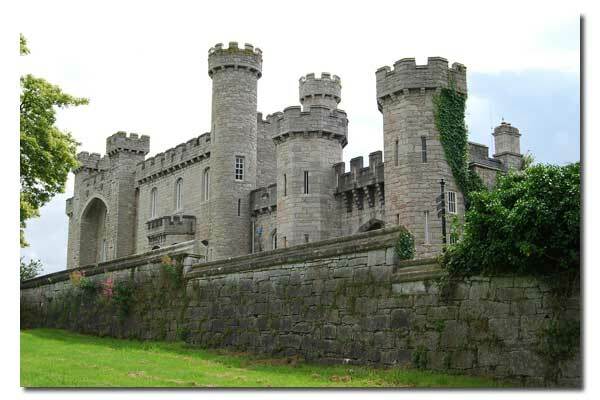 Bodelwyddan Castle conveys a fairy tale feeling with its tall, slender crenelated towers and large windows. This type of architecture was common during the 19th century when the fortification was built by Sir John Hay Williams. Unlike many castles constructed for defensive purposes, Bodelwyddan Castle represented a status symbol instead. The structure encompasses parts of a manor house, which existed at the location since early 1400s. The castle was used as a hospital during World War I and later sold to Lowther College, which served as a private boarding school for girls. After the school closed in the 1980s, local council took control of the castle and opened it to the public as an attraction, art gallery and museum. Despite a relatively peaceful history, the castle is inhabited by various ghosts as referenced below. 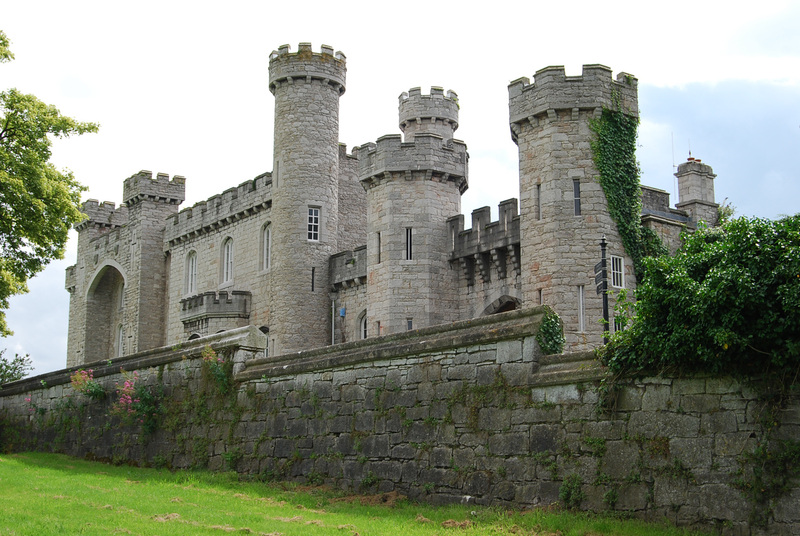 "Today, not only is Bodelwyddan Castle a great place to visit for its artwork and sculptures but it’s also a must for anyone interested in exploring a haunted building first-hand. The castle conducts frequent overnight paranormal investigations, which the general public can attend. Few who do so leave disappointed. In the Watts Hall, where you can view paintings by the Victorian artist G.F. Watts on loan from the National Portrait Gallery with which the castle is partnered, the figure of a lady dressed in white has been known to disappear into one of the walls. A member of staff on security patrol one night opened the gallery door, shone his torch along the corridor and noticed a pair of legs wearing white stockings and buckled shoes at the far end. After jumping back in shock, he recovered his composure and shone his torch back down the corridor only to find it completely empty. Other ghosts that linger at Bodelwyddan Castle include the wispy wraith of a woman drifting through the Sculpture Gallery; the shadowy figure of a soldier, no doubt from the same time when the castle was used as a hospital in World War I; and a blue lady who has been seen several times in the Tea Room. All in all, Bodelwyddan Castle is a truly haunted and atmospheric place, and the opportunity to explore it when night has fallen and its many phantoms stir within its historic walls should not be missed." This ghost story is from the book "Haunted Britain" authored by Richard Jones. We would like to thank Richard for graciously allowing Great Castles to use an excerpt from one of his ghost stories on this site. You can find other interesting stories on his web site, Haunted Britain. 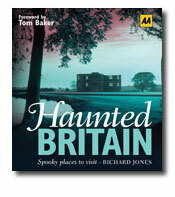 About the book: Explore Britain's most spine-tingling sites in the company of ghost-hunter Richard Jones. Discover the stories behind a whole host of haunted hideaways - castles, caves, pubs, jails, stone circles, battlefields and forts - and read about the tormented figures that return to them again and again. Learn about Britain's myths and legends in an exciting and original way, and maybe even experience a close enconter with a supernatural power firsthand!